Baby Arfana is barely three and is already accustomed to suffering. In an age when she should be keeping her entire house on tip-toes with her innocent giggles and mischievous plans, Arfana is writhing in pain as doctors insert needles in her lower back. 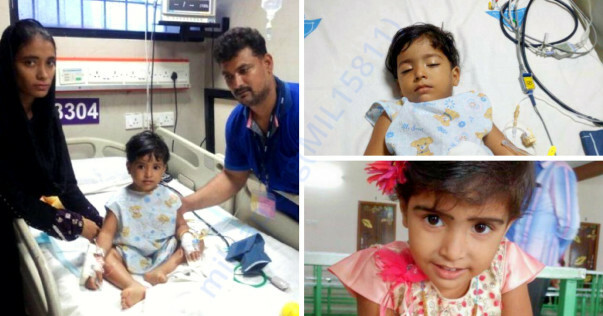 3-year-old Arfana has been diagnosed with Acute B Cell Leukemia and has been undergoing treatment at Shri Ramchandra Medical College (Chennai) since June 6, 2017. The little baby’s ordeal began in the summer of 2017, when her entire body began to develop boils. Although the family immediately rushed the baby to the local doctor, they weren't thinking much about it. They thought it might be a result of Arfana's body reacting to the hot weather. Their little concern was further truncated when the doctors confirmed their diagnosis. However, the tragedy re-emerged when Arfana began to limp. Slowly but gradually, she was finding it difficult to walk without the support of something solid. 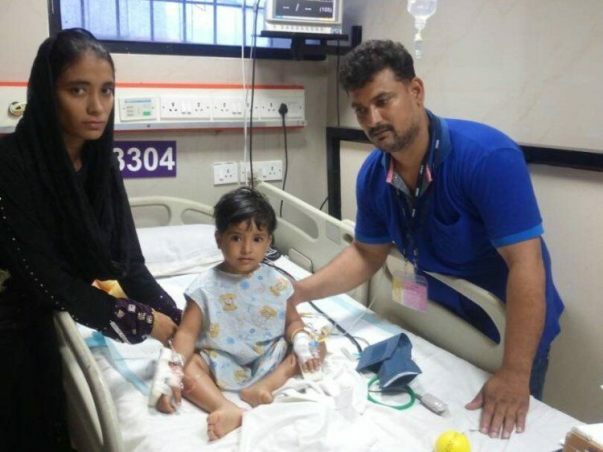 In a bid to completely cure Arfana, the doctors have prescribed her chemotherapy for next two and a half years. Her chemotherapy sessions have already started and she has been in ICU from last 10 days. 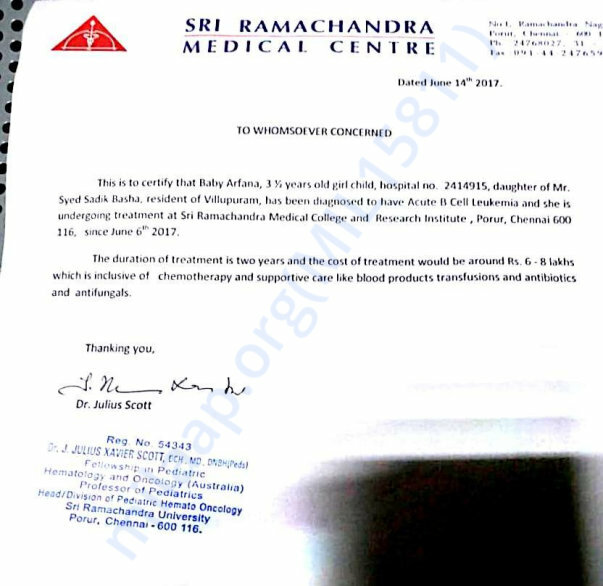 The baby still limps, and complains of severe stomach pain. Even though she opens her eyes and talks like a normal baby, she is constantly tired -- either from the excruciating pain being inflicted upon her tiny body or due to administering of medications. Despite it all, however, the family has something to look forward to. 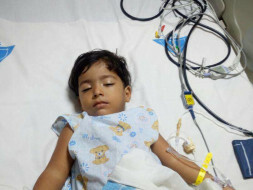 The doctors have said the the kind of leukemia that Arfana has is highly curable. As it stands, the only thing standing between her journey to total heath is lack of money. The estimated cost of the treatment is 6-8 lakhs and there is a high chance of complete recovery once the procedure has been carried out. As there is constant source of income, the family is finding it difficult to arrange the funds required for Arfana’s survival. Your contribution can help 3-year-old Arfana live. You can help a father save his daughter and give her a healthy future. We have some good news to share with you today. Arfana's is doing well. Four cycles of the chemotherapy have been administered to her and she has had no side effects as such. The blood transfusions numbers have also reduced and they happen only if required. The swelling which she had on her stomach is no more. Her limping is also reducing. She is slowly getting active again. Her parents do not have words to express how happy they are to have received all your support in this difficult time. Thank you once again. Please do keep her in your prayers. Would request you to please share this campaign further with your friends and family. We have good news to share on Arfana's health. Arfana has undergone 2 cycles of chemotherapy now and is recovering well. She has been discharged today after her second session. The chemotherapy is scheduled once in 15 days but they have to visit the doctor for regular check-ups. Her health has improved a lot and she is eating normal home cooked food. The swelling in her stomach is still there but the doctors have said that it will eventually go with time and the progress of the treatment. Thank you all for coming forward to help her. Please pray for her recovery. May Allah bless Arfana and help her with speedy recovery.